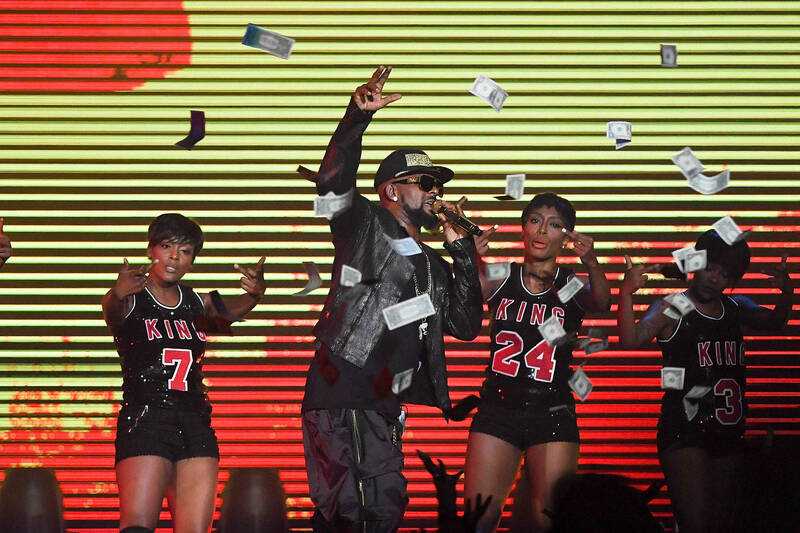 R. Kelly's financial situation is keeping him behind bars until further notice. He spent the night in jail after failing to produce the $100,000 in cash required to make bail on Sunday afternoon. The singer needs to pay 10% of the $1 million bond, which represents $250,000 for each of the alleged victims in the sexual abuse case. His lawyer revealed that his client was not in possession of the funds required to earn his release, citing "mismanagement," "hangers-on" and "bad deals." "He's trying to get it together," attorney Steve Greenberg said. "He doesn't have it sitting in the bank." Kelly owed more than $169,000 in unpaid child support to his ex-wife as of February 6. The court ordered Kelly to make a monthly payment of $20,833 on January 8, 2009, but Kelly failed to show up to that hearing, per court documents. To avoid being held in contempt of court, a judge ordered he pay $161,663 by March 6. Greenberg told CNN his client "does not have to pay the child support before getting out." His Chicago studio also poses an issue. As previously reported, the crooner is facing eviction from the location due to unpaid rent. He owes over $166,000.